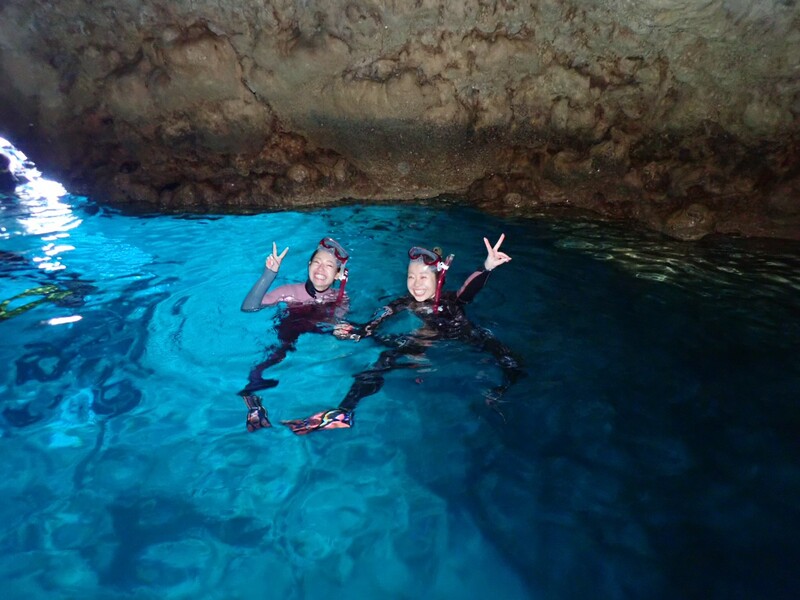 If you come to Okinawa, blue caves are a must see!!! 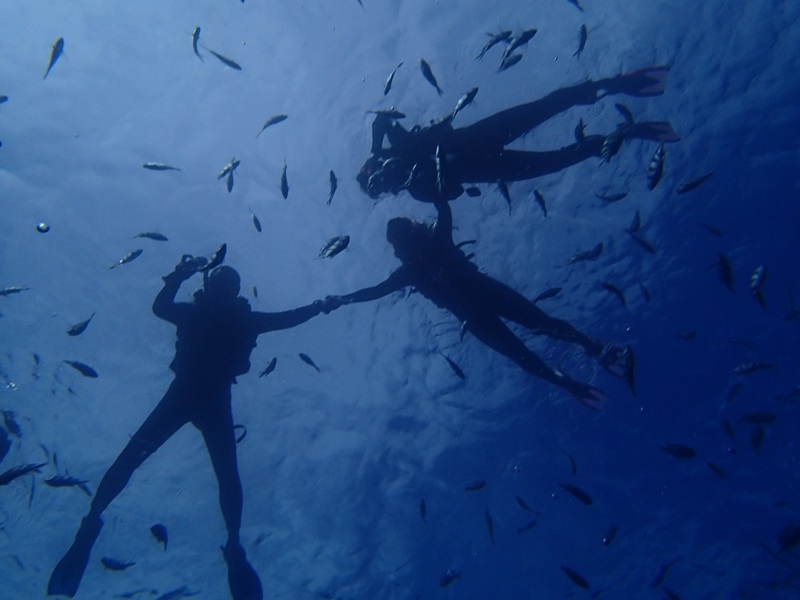 They are a popular spot for all divers around the world. Just 10 minutes away by boat, making it viable even for those who suffer from sea sickness. The inside of the blue cave holds a mysterious world The blue light from the surface of the sea is reflected into the cave, offering a wonderful and mysterious sight. Snorkeling / diving time is approximately 1 hour. Pickup service is also available. 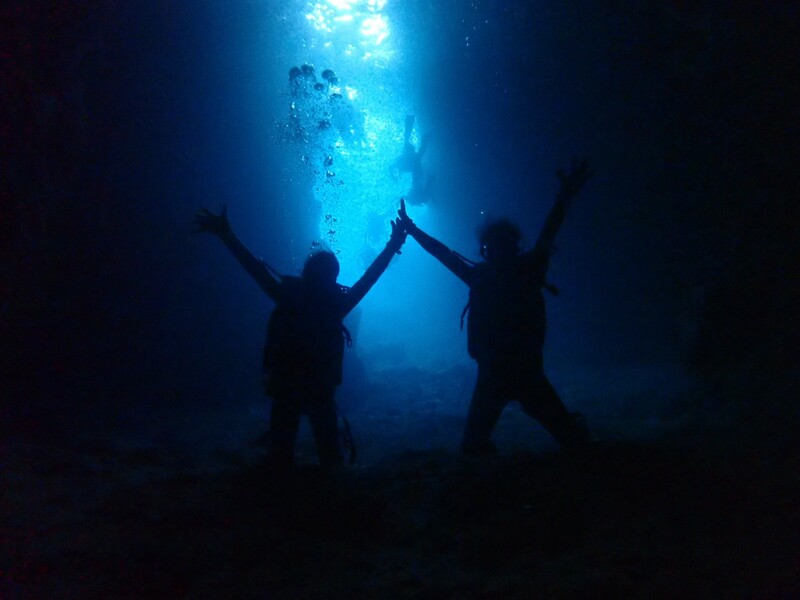 【8：00】Blue cave snorkeling or scuba diving tour. 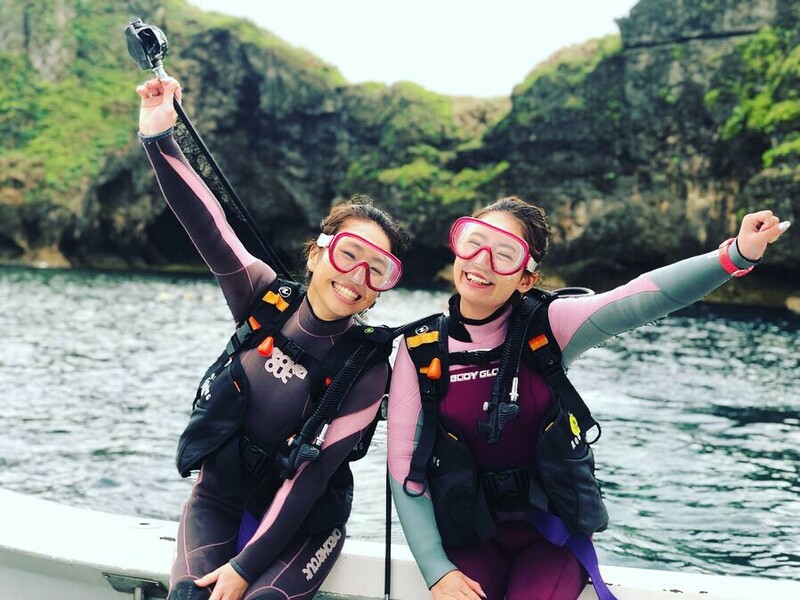 Wet suit, equipment, Guide fee, Insurance. 10:00 arrival at the Marine Station. Please arrange your own swimsuit, bath towel, sunscreen and shoes. Available shower room at the harbor. If you choose the pickup service, we will let you know the exact pick up time the day before the tour. Free parking lot available at the Marine Station. 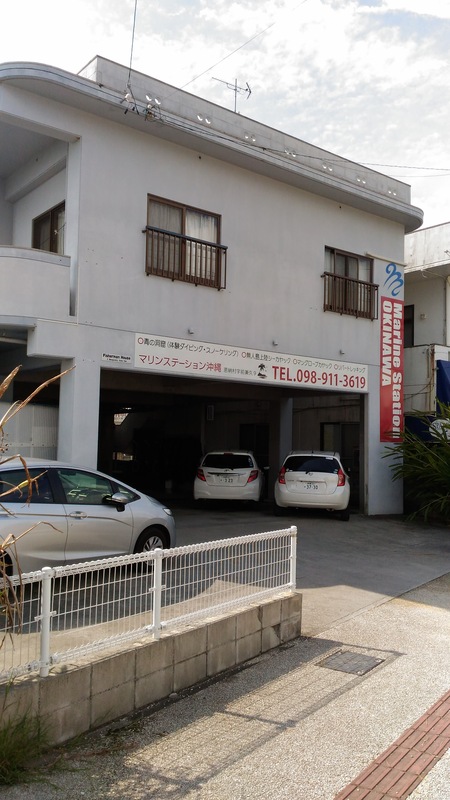 Marine Station Okinawa in Onna village. 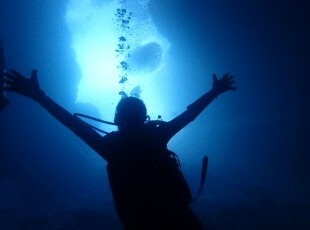 【10：00】Blue cave snorkeling or scuba diving tour. 12:00 arrival at the Marine Station. 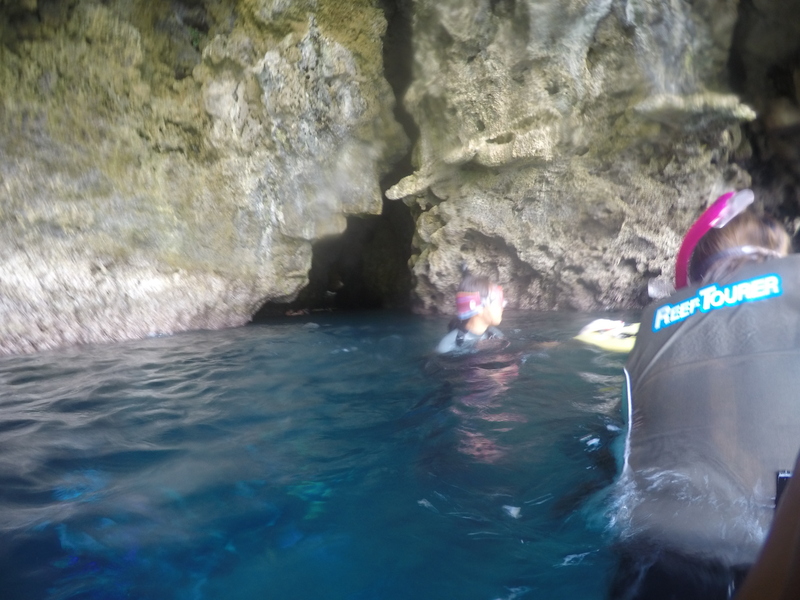 【12：30】Blue cave snorkeling or scuba diving tour. 14:30 arrival at the Marine Station. 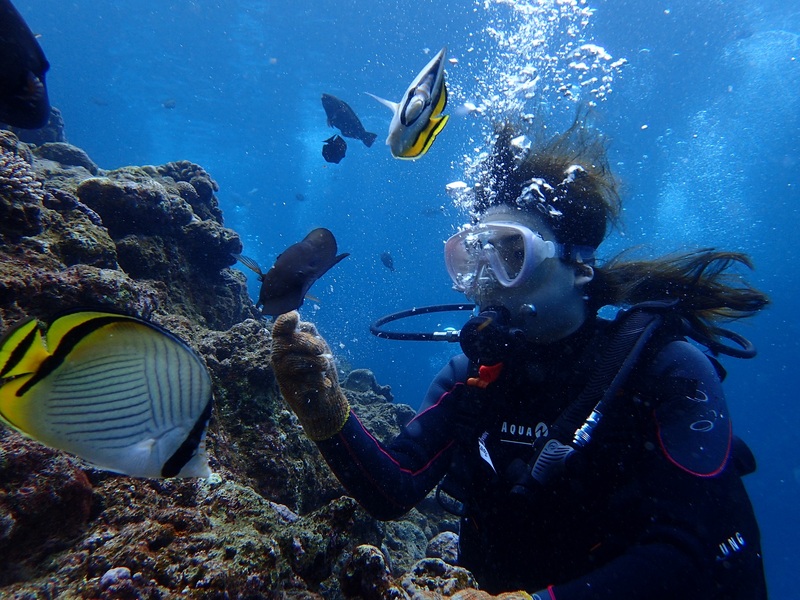 【14：30】Blue cave snorkeling or scuba diving tour. 16:30 arrival at the Marine Station. 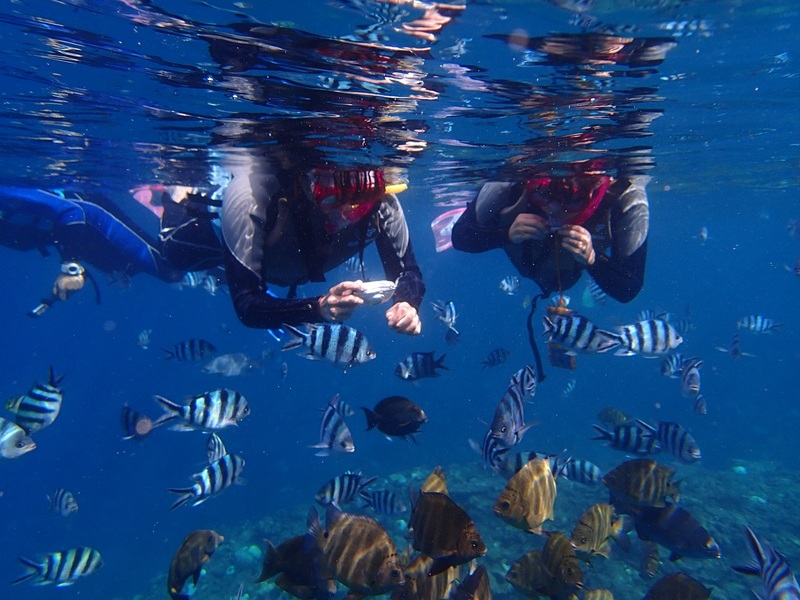 *Snorkeling tour is only available for 5-59 years old. 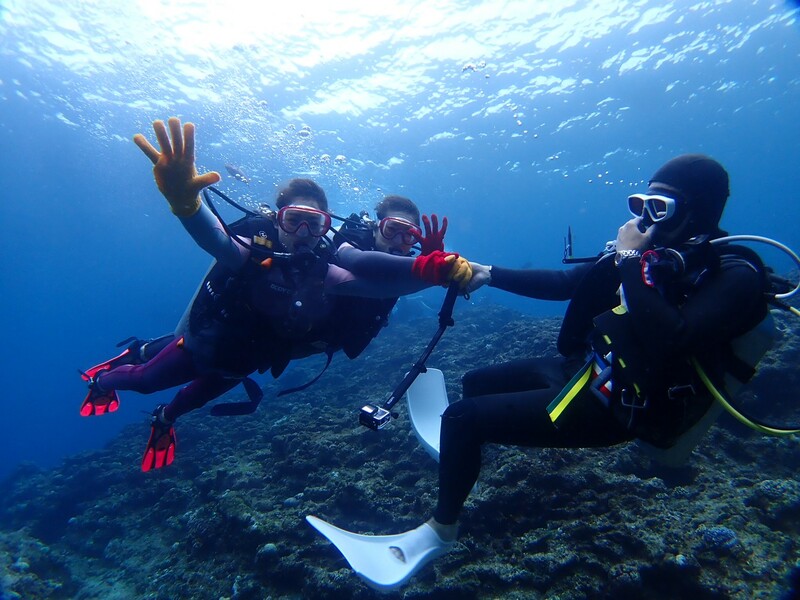 Scuba diving tour is only available for 10-59 years old. *Please arrange your own swimsuit, bath towel, sunscreen and shoes. *Persons which the following conditions will not be able to participate in this activity： Circulatory system or respiratory system diseases, high blood pressure, otitis media, pregnancy, epilepsy, diabetes, liver failure, hangover or under the influence of alcohol. In addition, accordingly to your health condition on the day of the activity, you might not be able to join us. *At the time of your application, please provide us with a mobile phone number (Japanese number), age, height, weight, foot size, eyesight and hotel's name of all participating persons. *Participating minors need a signature from their legal guardian to consent. Children under 12 years old need to be accompanied in order to join the tour. 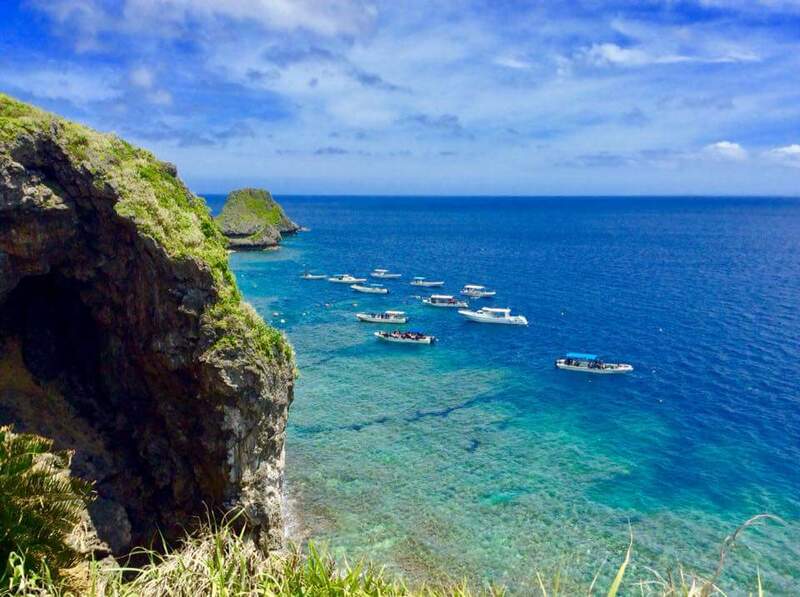 *If the waves are calm, it is still possible to do snorkeling even in the event of rain. *Depending on the sea conditions, the tour may be cancelled due to bad weather. In that event, you may choose another date to participate in the tour or receive a full refund. *If you lose the camera that you take from our shop, you must to pay ￥25,000. Thank you for your understanding.